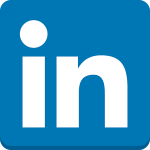 Frits Mehrtens Consultancy’s vision is to be the niche company that understands the needs of our clients the best and that our clients from all over the world have a high regard for the benefit of our services which should contribute to their strength. By exploring our extended network and by delivering outstanding value to our clients making our clients and their customers happy. In the past 20 years logistics has become an extremely competitive environment. Being succesful requires strategic thinking all over the organisation in order to achieve the necessary competitive advantages to obtain this success. Those companies who distinguish themselves from the other players in this competition are those who have become system suppliers. Systems which are an indispensable part of the clients supply chain management and which are difficult to obtain for the competition. Systems may be asset based, a niche, a strong integration in the clients’ organisation, a strong logistics chain or network, a certain value adding etc. Frits Mehrtens started his professional career at a naval shipyard constructing submarines and customs patrol vessels. He was responsible for the Material Management and Logistics Support and obtained experience in military production logistics. After 1 year working in the metal recuperation sector Frits Mehrtens continued his career during 27 years in Business Development for the Finished Vehicle Logistics Sector ao in the Ports of Rotterdam, London, Killingholme (Humberside) and Zeebrugge. He interrupted his career in Finished Vehicle Logistics for one year while being active in IT for the logistics world. 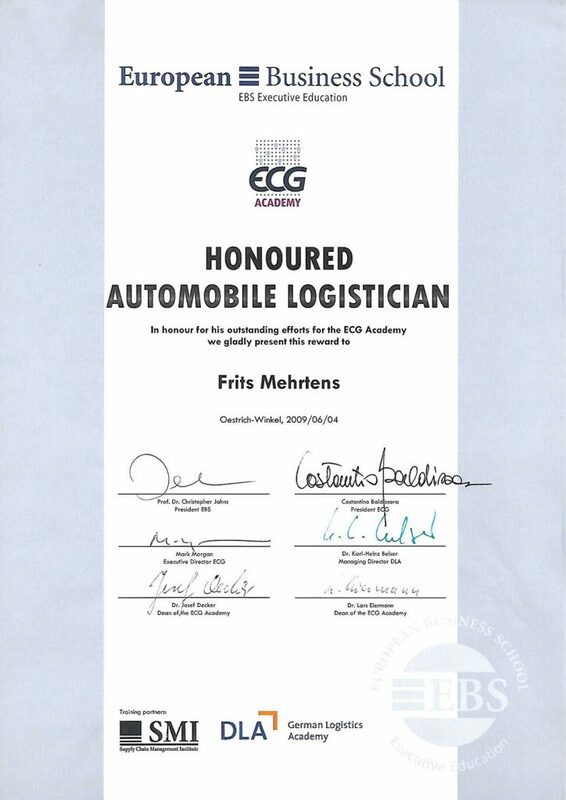 Frits Mehrtens was involved in the establishment of the Association of European Finished Vehicle Logistics (ECG) a Brussels based lobby organization for this particular sector. He served as Board Member, Vice President, President and as advisor to the President ever since the establishment in 1997. 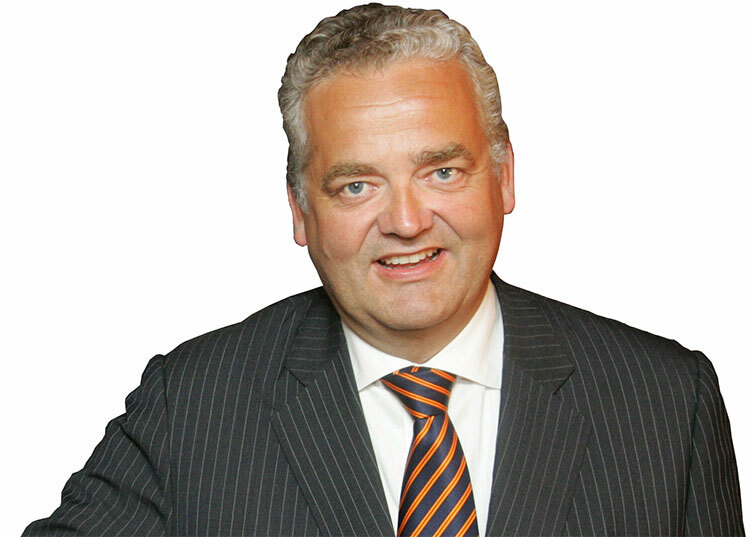 In 2012 Frits Mehrtens started his own company Frits Mehrtens Consultancy bv which supplies business development services and recruitment services to logistics service suppliers all over Europe. Frits Mehrtens Consultancy bv employs now 3 people. Frits Mehrtens has a Bachelor of Applied Science education at the Higher Economical School in The Hague, Netherlands. Furthermore he is Honoured Automobile Logistician acknowledged by the European Business School (EBS) and Supply Chain Management Institute (SMI), Östrich – Winkel (Wiesbaden), Deutsche Logistik Akademie (DLA) Bremen and ECG Brussels. Looking back on a 30 years professional career in both B2C and B2B Frits Mehrtens has gained long term international experience on Managing Director level as well as an extended relevant network.